Every bit of technology tucked inside the new novel by Brad Thor is in existence or the final stages of development. It's what makes Black List as compelling as it is frightening. Advancements in data capture and compilation give agencies the ability to collect, track, and even predict someone's every move. As such, the backdrop of reality often overshadows his thinnest Scot Harvath storyline to date. It's a thriller about a covert counterterrorism team being targeted by the very people they serve. Once Harvath and other members of his team are added to the black list for alleged terrorism, there is little they can do except try to survive while finding out who added their names and why. Not all of them will survive. Thor puts it plainly, equating the operation to target and assassinate the team to "The Night of the Long Knives." The reference recalls the political murders carried out by the Nazi regime between the June and July, 1934. The Black List by Brad Thor is the stuff of state-sponsored paranoia. "The Night of the Long Knives" isn't necessarily on par because Harvath, his boss Reed Carlton, computer hacker Nicolas (a.k.a. the troll), and other Carlton Group members are not political opponents as much as they are tech-savvy operatives capable of uncovering the conspiracy. It's one of several small cracks in how Thor tries to plaster reality over his fiction. Had the conspiracists left those names off their hit list, the counterterrorism team would have been unlikely to have stumbled into this inside threat. For want of an unneeded scapegoat, they are targeted nonetheless. Yet, these minor cracks don't matter much. Black List is still a wild ride throughout much of the fast-paced book. It's the background that will give you goosebumps. It details a fraction of technology that the United States government has at its own disposal to spy on its citizens. It only takes moments to use traffic surveillance cameras, monetary transactions, social network data, and GPS-enabled devices to tag, target, and eliminate the perceived opposition. What makes it haunting is its source. The plot was inspired in part by a 1975 statement made by U.S. Senator Frank Church who warned Americans that the government's surveillance systems were already so advanced that the smallest shove in the wrong direction would be disastrous. "I don't want to see this country ever go across the bridge," he said. "I know the capacity that is there to make tyranny total in America, and we must see to it that this agency and all agencies that possess this technology operate within the law and under proper supervision, so that we never cross over that abyss. That is the abyss from which there is no return." His investigations, along with those of U.S. Senator Sam Ervin, eventually materialized as the Foreign Intelligence Surveillance Act of 1978 (FISA). Since 2001, Church's warnings have gone unheeded as the act has been amended and altered several times. Many of the discussions were held during secret sessions. With technology that Church could have never imagined in 1975, Thor speculates what would happen if someone used this power to plot a coup in the United States. Even more chilling, what if they did so in such a way that that the American people demand their own enslavement — after the conspirators create artificial threats, instigate real catastrophes, and push propaganda via Internet search manipulation. It makes 2014 feel like the new date for Orwell's 1984 and only Harvath and company stand in the way. 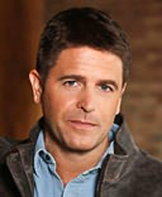 A couple of quick graphs about author Brad Thor. While he is clearly more of a storyteller than he is a literary writer, Thor does pack a punch given his background. He served as a member of the Department of Homeland Security's (DHS) Analytic Red Cell Unit and fellow of the Alexander Defense Group. In 2008, he shadowed a Black Ops team in Afghanistan. His involvement in Red Cell — like many writers, futurists, and software programmers who participate — is to imagine alternative threats that the nation must defend against. While he never infuses DHS scenarios into his novels, he does lean on exterior research and interviews with other agency operatives. He originally studied creative writing and film at the University of Southern California. 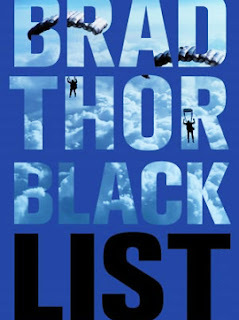 Black List By Brad Thor Shakes 4.6 On The Liquid Hip Richter Scale. As good as Black List is, it does lack some character development. Late in the book, the story feels less active and becomes passively narrative as Thor seems to rush the wrap up. Fortunately, most readers will be hooked before this happens, making it more forgivable as he ties up loose ends. The only thing he leaves wide open is the realization that he only scratches the surface of our vulnerability to technology. Black List: A Thriller by Brad Thor is available on Amazon or you can order the book from Barnes & Noble. It is also downloadable from iBooks or as an audiobook from iTunes. Long-time listeners will be happy to hear the familiar voice of Armand Schultz, who has become the de facto voice of Brad Thor books.